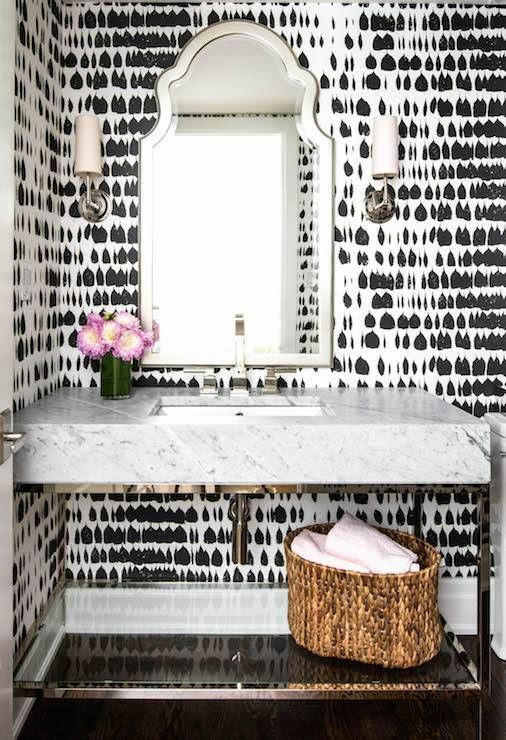 These bathroom-decorating ideas are going to make you seriously happy! 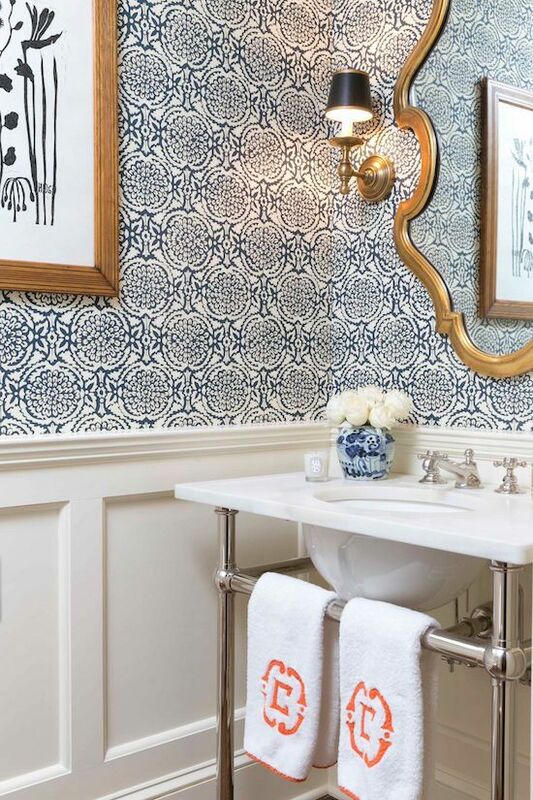 We all know the metallic trend has caught on for kitchen faucets and chandeliers, but it also makes a huge statement in the bathroom. Swap your bathroom vanity sink faucet, wall scone, and towel holder for brushed gold bathroom hardware. It’s probably one of the easiest bathroom updates you can make, and it only takes minutes to update. This bathroom has a slanted roof and still manages to look uber chic! We often see slanted roofs as a decorating nightmare, and sometimes it really is tricky to decorate with. 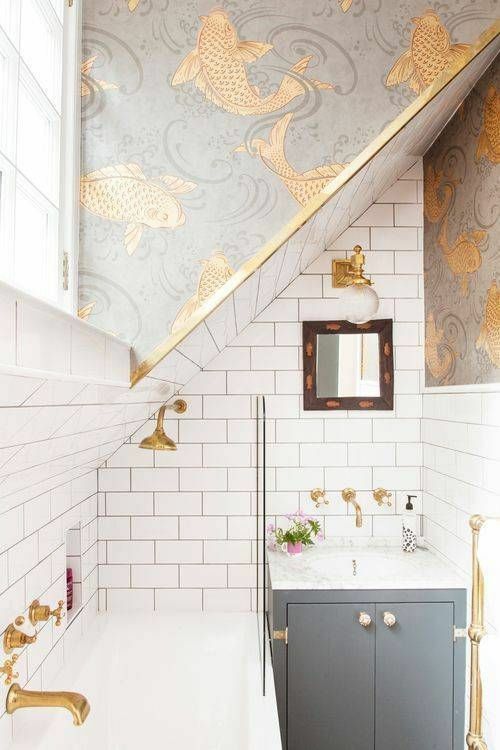 This designer took matters into their own hands and used wallpaper and gold trim to accentuate the bold slanted roof. 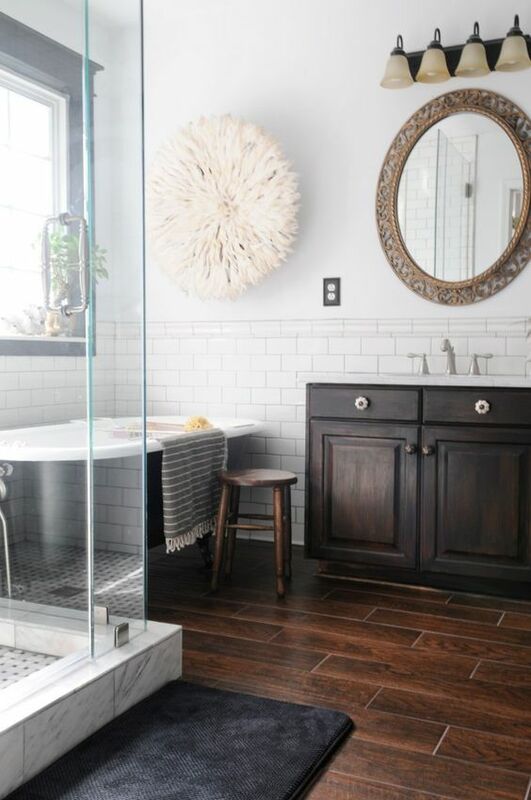 To add warmth and coziness to a bathroom, wood flooring is always a fashionable flooring trend. The problems related to wood flooring in a humid and wet environment are definitely not what we want to deal with. 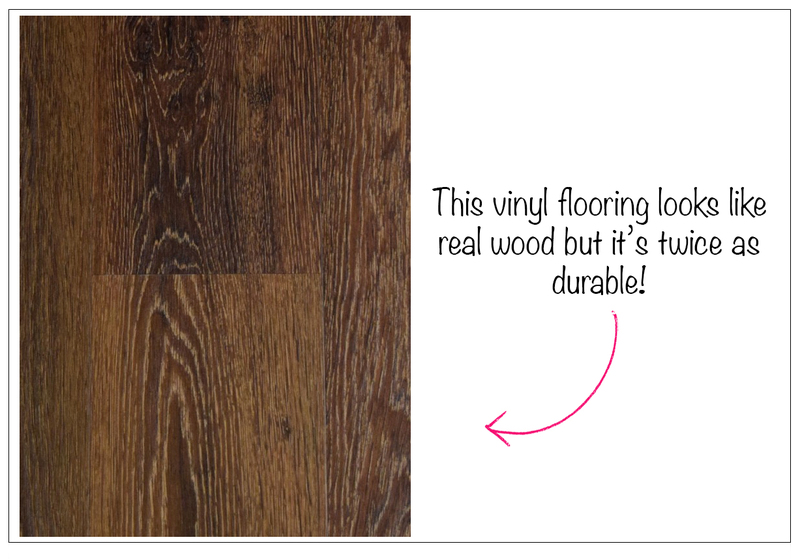 Thankfully we have the option to install wpc waterproof vinyl floors that give you the wood look you are going for without suffering the consequences of using real hardwood. Keep in mind that installing real hardwood in your bathroom is one of the worst flooring decisions you can make for your home, so make sure to do your research about alternatives that look just as good. Finished decorating your bathroom but still seem like there is something missing? It’s all about the personal touches that make a decorated space look well thought out and pulled together. One of my favorite ways to decorate with personal touches in the bathroom is with monogram towels. This decorating tip really goes a long way and makes a thoughtful and creative statement. Take a look at how cute this looks! BDB Tip: Print out black and white photos of your family members or even your cute dog and hang them up in sleek black or gold frames for a sophisticated look and a personal touch! 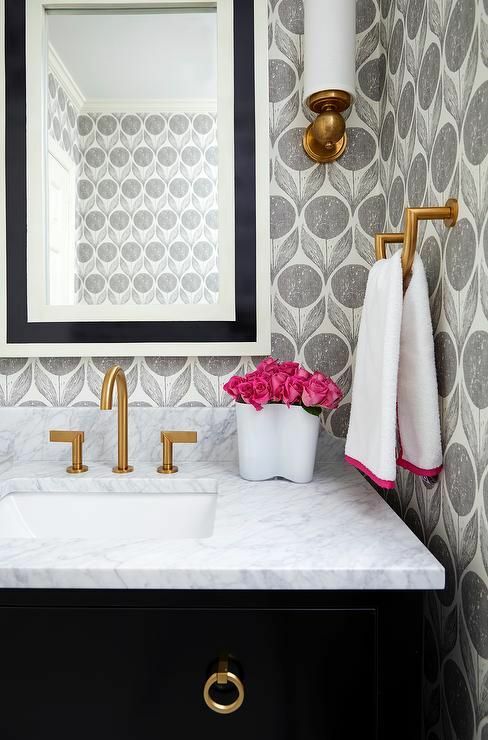 A beautiful mirror, chrome wall scones, a marble vanity and a woven banana basket is the all-time recipe when it comes to putting a glamorous bathroom look together. It’s all about mixing and matching materials and textures to give your bathroom a cozy feel that doesn’t seem too stiff or cold. Another way to add some coziness is with a fluffy fur bench to break the ice! 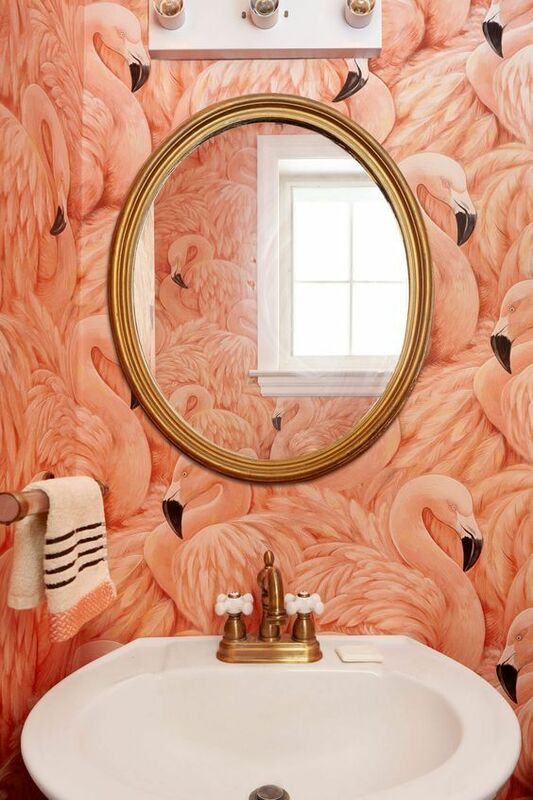 Do you have anymore ideas when it comes to decorating your bathroom? Share them with us below, we can’t wait to hear from you! This entry was posted in Bathrooms and tagged bathroom decorating, bathroom ideas, bathroom inspiration. Bookmark the permalink.